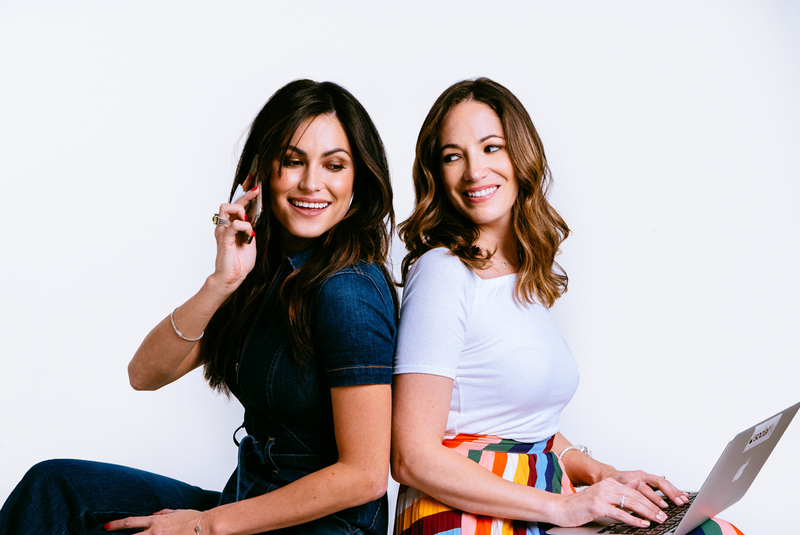 Powerhouse duo, Stephanie Cartin and Courtney Spritzer are the lady bosses and personalities behind the Socialfly brand. What started as a social media agency in NYC has since evolved into so much more. 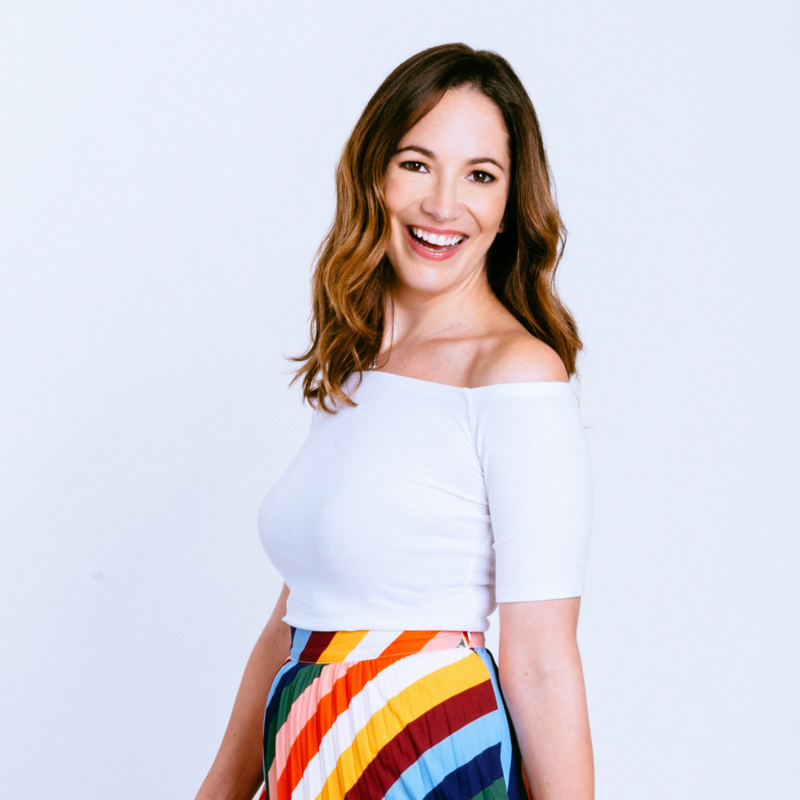 We turned to the ladies behind Socialfly to learn how they balance all their business ventures and client management plus their top tips for building brand awareness and scaling your brand. Alexis Damen: Tell us about yourselves and your background, what were you doing before you started Socialfly? Also, what inspired you to take the leap? Socialfly: We became friends in 2010 and bonded over our shared love for social media and where we saw the future of marketing for brands. When we met we were both working in corporate America, I was at SpaFinder and Courtney was working for American Express when we began working nights and weekends building social strategies for a few clients. We were inspired to take the leap after working around the clock at our day jobs and side hustle for 10 months. We finally realized that to be successful we had to go all in and we mutually quit our jobs on the same day to focus on our entrepreneurial dreams! AD: Did you imagine that Socialfly would be what it is today and that it would lead to starting your podcast? SF: We’ve always had confidence in ourselves and the vision we set forth for the company, but at the same time, we have moments when we look at our team and the company we’ve built with the help of other amazing team members and mentors and feel incredibly proud of our achievements. The podcast came to us after two years of filming our weekly Facebook live show, SocialLIVE. The show started as a quick segment to recap the latest social media news of the week but it evolved into a show spotlighting other entrepreneurs and influencers making a splash on social. Over the last year, we started to realize the power of podcasts and eventually decided to pivot and focus on the podcast so we could have longer and more meaningful conversations with women that inspire us daily. AD: How do you balance working with various clients all at once? SF: We’ve been able to balance working with various clients by hiring a team of hardworking, savvy, and resourceful team members that we trust to deliver the best possible results for our clients. AD: Do you have any go-to strategies to build brand awareness for Socialfly and your partners? SF: From the beginning, we made the decision to treat our internal marketing as we would a regular client and built out our personal brands as an extension of the Socialfly brand. Putting a personality to the brand makes it easier for the audience to connect with you because they feel like they’re getting a behind the scenes look at the company. AD: Do you have any tips or hacks to help e-commerce entrepreneurs scale their business? SF: Set out a clear strategy of what success looks like for your company and build an all-encompassing social media plan that reflects your end results. Social media advertising is pay-to-play, so by investing in high-quality production, paid media support, and clearly defining your target audience you can ensure you’re reaching the people interested in your product or services. AD: What has been most surprising and challenging for you during the process of starting a business, scaling it, and sustaining growth? How have you overcome these obstacles? SF: One of the most challenging parts is figuring out how to maintain our culture amid rapid employee growth. We consider ourselves to be one big family at Socialfly and as the business grows, we wish we had more time to spend with each and every person in the company. We’ve made our core values a big focus as the company grows. AD: What advice do you have for new entrepreneurs? SF: Stay positive! As an entrepreneur, there are new fires and problems to solve daily, but if you remember why you started and stay focused on your vision you can overcome any challenge that presents itself. AD: Any tips for business owners who are looking for a co-founder or navigating their current co-founder relationship? I imagine it can be hard from time-to-time. SF: Make sure you have opposite skill sets! This is the secret to our success as we are able to divide and conquer the aspects of the business based on our strengths. AD: What prompted you two to start a podcast? 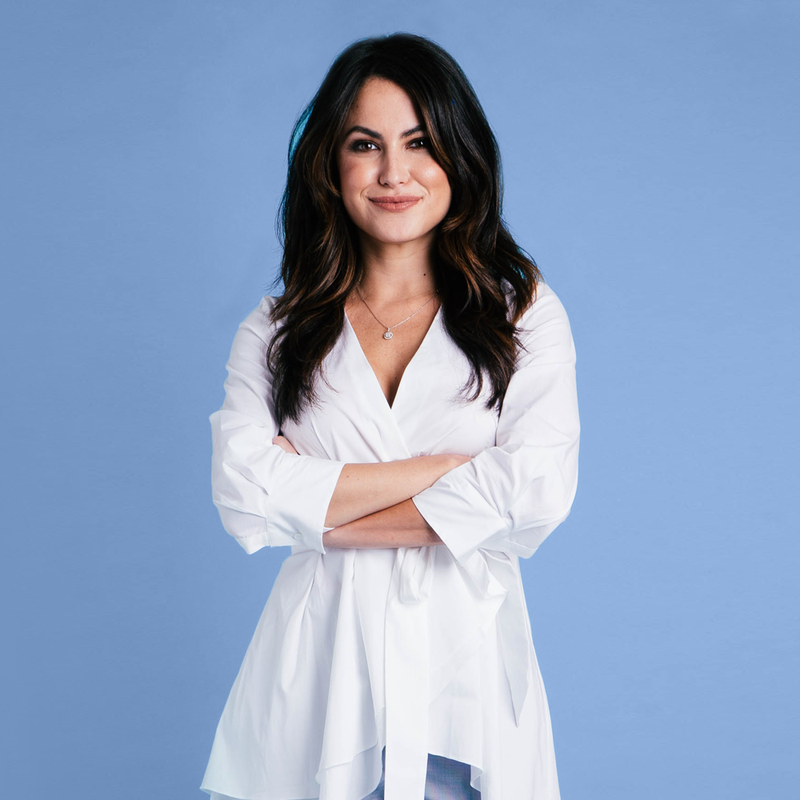 SF: We relied on the guidance and mentorship of other female entrepreneurs when we started our company and we wanted to find a medium that allowed us to share the same wisdom with a larger audience and inspire women to take the leap of faith and follow their dreams. AD: How do you decide who you’re going to feature next on your podcast? SF: We have been connected to some amazing women through friends, business connections, and other female entrepreneurs. We look for women that have built successful businesses and can speak to growing, managing, and scaling a team. 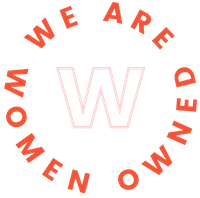 To us, the most important thing is finding women whose stories are inspirational to our audience and cover the many challenges and successes of running a business so our listeners can learn each week. Comment below and tag the #Entreprenista in your life. AD: What’s your definition of “Entreprenista”? SF: Our definition of an Entreprenista is a woman who organizes and operates a business or businesses, taking on greater than normal financial risks in order to do so. One who has a drive, passion, and vision with an undying determination to succeed. She is fiercely motivated, ambitious, and competitive, forging her own path to independence and success. AD: What are your top 3 business secrets or tips you’ve learned from your podcast guests? 1. Blind confidence is crucial when starting a business! You know you don’t have all the answers but there is no chance you’re going to give up. That is the mentality of a young entrepreneur. 2. Know that you can’t be everything to everyone. It is important to know your strengths and surround yourself with people who are able to help you solve the problems you may not know the answers to yet. 3. Positivity is the secret to success and if you don’t believe in yourself first, no one else will. SF: We measure success based on the results we are getting for our clients! At the end of the day, it’s all about serving our clients to the best of our abilities and delivering a positive ROI. AD: When you’re not building your business, what are you doing? SF: When I am not working you can find me relaxing with my husband and our dog, Beluga. We are also expecting twins, so my hands have been pretty full between the business and babies! Courtney is a jet setter and makes time to travel and explore new restaurants and experiences in New York. AD: What’s next for you two and your business ventures? SF: Our business is in a stage of rapid growth! We are moving to a new office, scaling our team, expanding our service offerings, all with the goal of providing the best possible results for our clients. We are also building out the Entreprenista brand and have a ton of exciting plans for live recordings and more. We are coming up on seven years in business in May and have high hopes for the next year. Starting and scaling a business is no easy task — putting a strategy in place is key. It will likely change along the way, and that’s ok. Going into your new venture with confidence, positivity, and a realistic mindset of what you can and cannot do alone is a great first step. Are you an “Entreprenista?” Tell us about it in the comments below!